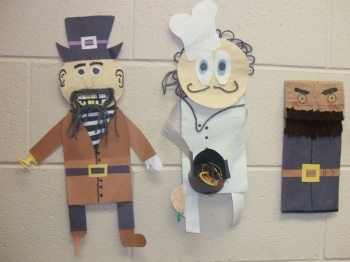 These are my favorite Canterbury Tales puppets from this semester! Good job, Ryan, Ashley, and Marina! I get to see the Skipper, Cook, and Summoner everyday… they all hang out behind my desk.